Apple has a history of developing devices and programs geared towards those with disabilities. For example, many of the tech giant's iOS devices include a wide range of accessibility-focused settings, including a digital magnifying glass, AssistiveTouch, dictation features and more. It seems Apple is continuing that trend now but in a slightly different manner. In a press release, the company today announced their decision to team up with "leading educators" for deaf and blind communities throughout the US to bring "accessible coding" to their classrooms. Apple is accomplishing this by expanding upon their existing free "Everyone Can Code" program, which was initially launched in May 2017 for students in kindergarten through college. The program aims to teach kids of all ages how to code and develop apps using Apple's proprietary Swift programming language. "Apple’s mission is to make products as accessible as possible," Apple CEO Tim Cook said in a statement. "We created Everyone Can Code because we believe all students deserve an opportunity to learn the language of technology. We hope to bring Everyone Can Code to even more schools around the world serving students with disabilities." 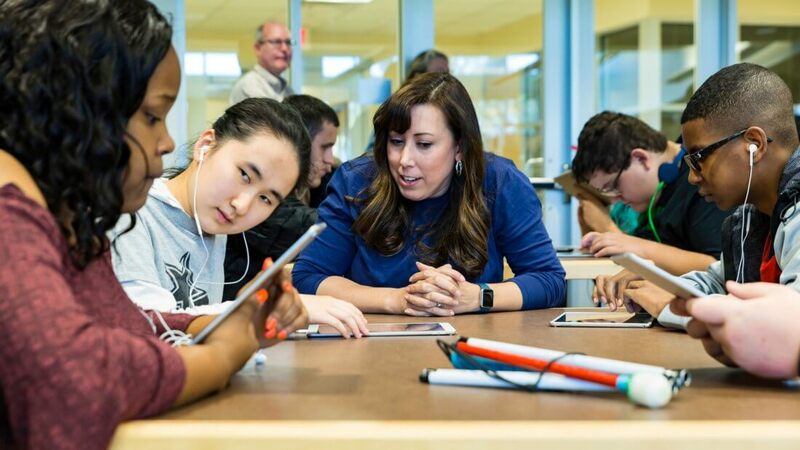 The upcoming expansion of the Everyone Can Code program will include "groundbreaking" accessibility technology in addition to Apple's own accessibility tools and device features. To name a few examples, blind individuals will have access to VoiceOver, an advanced screen-reader, while deaf individuals will use FaceTime, LED Flash for Alerts, and Type to Siri to absorb the curriculum. The accessibility-focused version of the Everyone Can Code program is expected to launch sometime this fall.